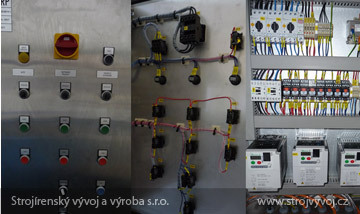 Pepper coring machine - Strojírenský vývoj a výroba s.r.o. 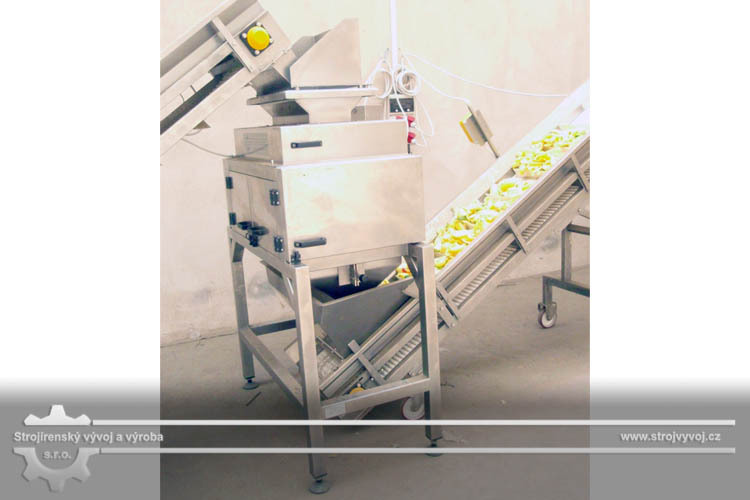 The pepper coring machine is designed for the halving and coring of peppers. 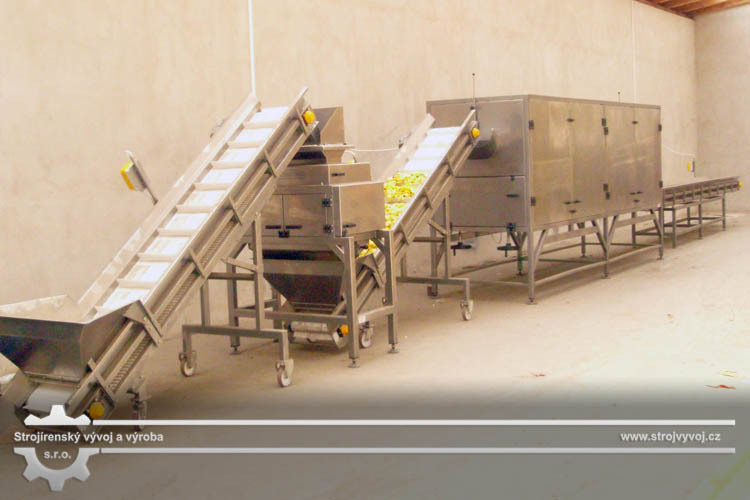 The machine is included in the pepper processing line. 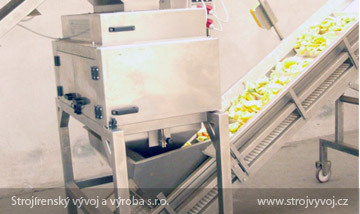 Peppers are delivered to the coring machine hopper by an input modular conveyor. 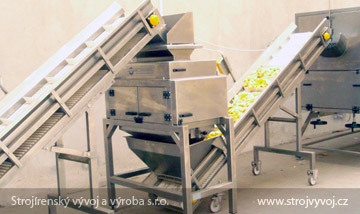 Two counter-rotating conveyors press the material which is subsequently cut into halves against a knife. 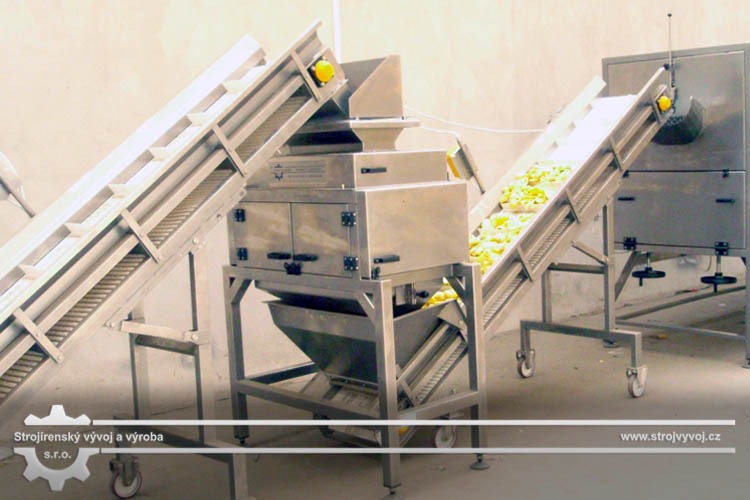 Halved peppers fall into the hopper of the discharging modular conveyor which transports them into the drum washer for rinsing and removal of seeds. 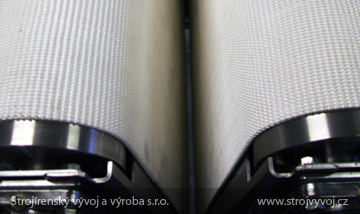 When pressed, most seed cores are separated from the material. 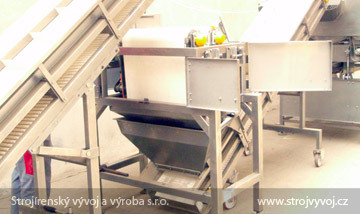 The machine is driven by a pair of drum motors located at the bottom of the counter-rotating belt conveyors. 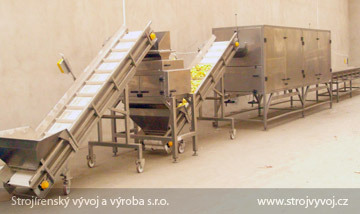 The conveyors are fitted with a transport belts. 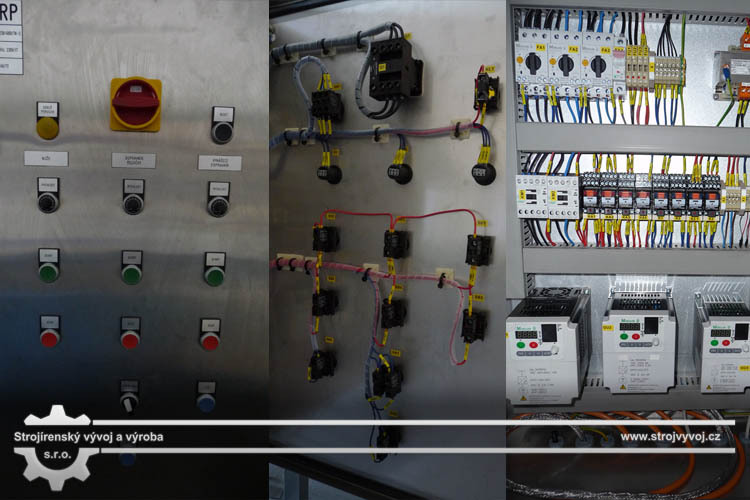 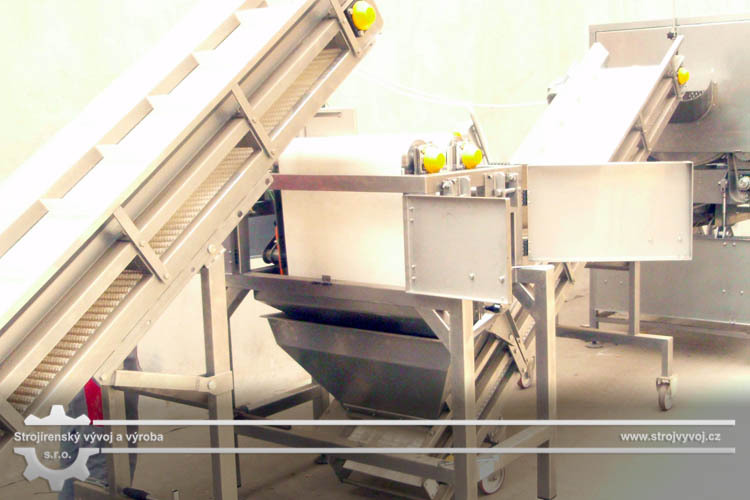 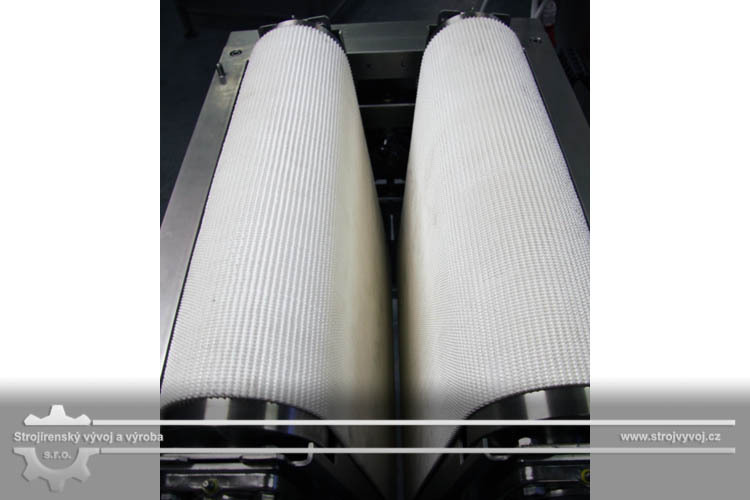 The drives in both conveyors are controlled by a single frequency changer to ensure the same transport speed in both counter-rotating belts.